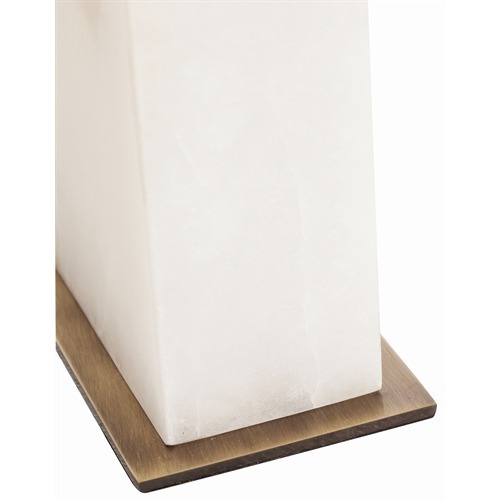 Simple and elegant, the Carson is defined by a rectangular slab of snow marble atop a brass base. 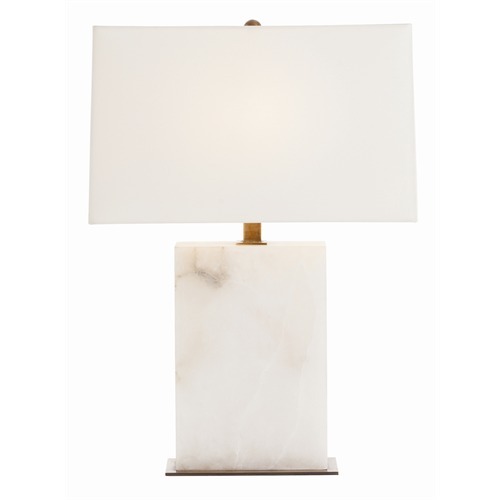 Complemented by a Ivory microfiber rectangular shade with a Cream cotton liner topped with a 1" brass sphere finial. Measures 23.5"H x 16.5"w x 7.5"D.
Takes one bulb - 60 watt maximum (not included) and features a On/Off Switch.